There’s a simple fix to Janus’s “free-rider” problem. This is the first of a four-part series on rebuilding labor after the Supreme Court's Janus ruling. You can read the second part here, the third here, and the fourth here. 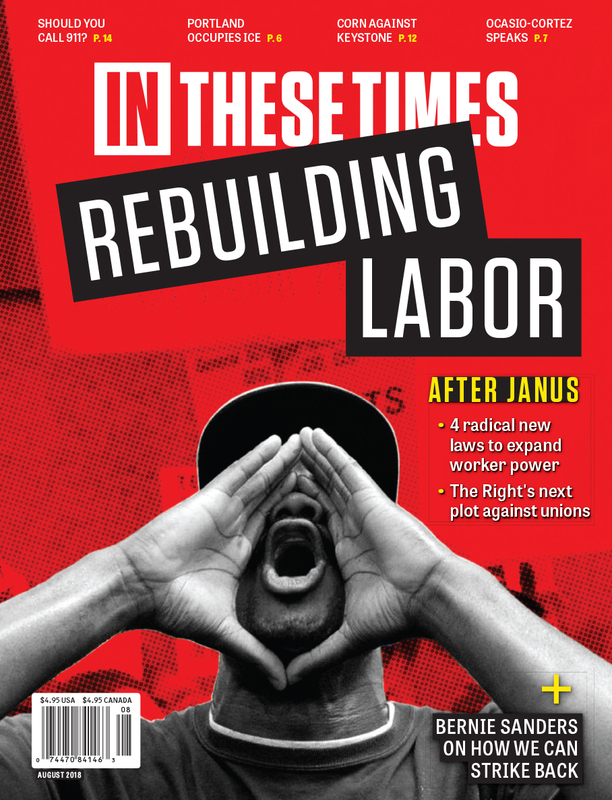 All four pieces, as well as an exclusive interview with Bernie Sanders on the future of the labor movement, are featured in the August issue of In These Times magazine. More than once during the ongoing crisis of organized labor in the United States, In These Times has wondered whether this event or that is the nail in labor’s coffin. Today, in the wake of the Supreme Court’s June 27 Janus v. AFSCME decision, we hear clods of earth hitting the lid. With private-sector union membership at an all-time low of 7 percent, Janus threatens labor’s last bastion: the 34-percent-unionized public sector. The labor and employment protections that do exist have been eroded for decades, often on the Democrats’ watch. But unions and workers weary of broken promises from corporate-captured legislators may find a glimmer of hope in the current rise of progressive Democrats. To those candidates and legislators looking for strong pro-labor proposals, we invited labor experts to offer four concrete policies to bolster workers’ rights. You can find the first proposal, by Aaron Tang, below, and the rest on InTheseTimes.com over the course of the week. We offer these with one caveat: Legislative change won’t happen without a groundswell of worker action, rooted in the conviction that we do not shed our rights when we clock in to work. If there is any agreement between Right and Left regarding the Supreme Court’s decision in Janus, it is that the ruling delivers a potentially crushing blow to public-sector unions across the country. Before Janus, small automatic deductions could be debited from workers’ paychecks to cover union bargaining costs. After Janus, this is no longer an option: The Supreme Court has ruled that requiring union contributions violates the First Amendment. So, as a matter of law, all public-sector workers are now free to opt out of paying union dues while still retaining the benefits of union representation. 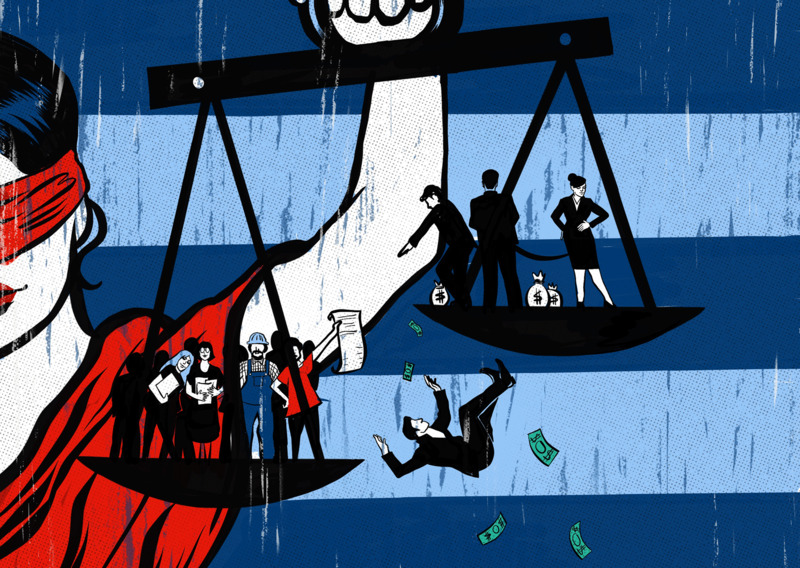 Experts estimate that anywhere from 20 percent to 70 percent of those affected will stop paying—with significant negative effects on unions’ ability to advocate for workers’ interests. This doomsday scenario is entirely avoidable, however. Lawmakers in the 22 states that permitted public-sector unions to collect fair-share fees before Janus can enact a simple legislative workaround that would neutralize essentially all of Janus’ impact. Most of these states are blue and ostensibly pro-labor, so they should jump at the opportunity. 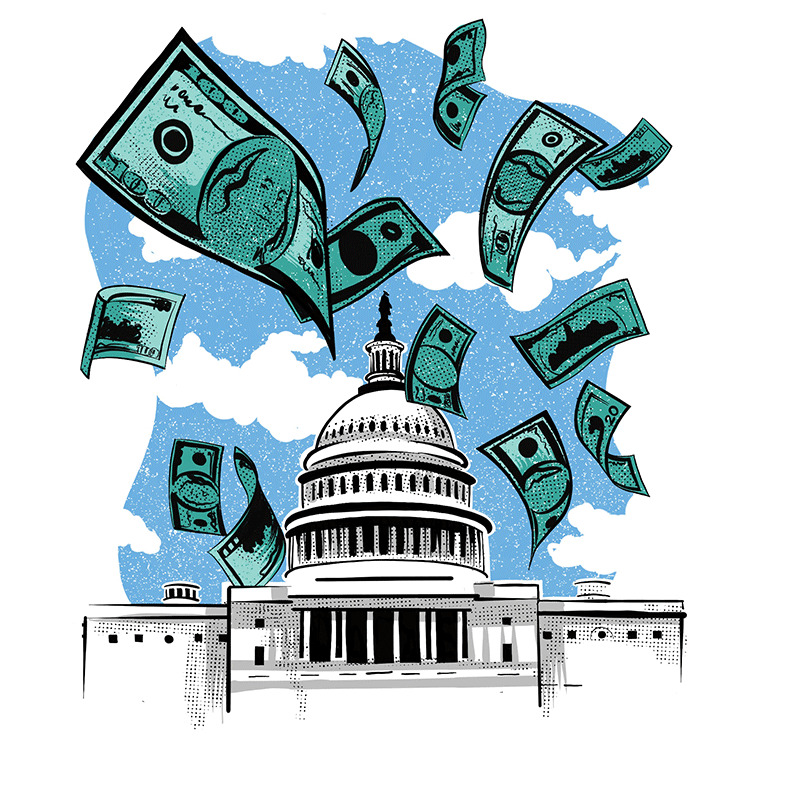 Instead of deducting union dues from paychecks to reimburse union bargaining-related costs, government employers—fire departments, school districts, etc.—could be required to reimburse those expenses directly. Workers who previously objected would no longer have an issue, and unions would still enjoy the same, pre-Janus level of resources needed to carry out their representational activities. If direct government reimbursement of union bargaining-related expenses sounds far-fetched to you, it shouldn’t. State lawmakers in Hawaii are already considering a government funding bill that would create a statewide pot of money (think of it as a “Janus fund”) to ensure that public-sector unions have the resources they need to bargain. Some states may prefer a statewide response like Hawaii’s; others, an employer-by-employer approach (which would be more similar to the pre-Janus fair-share system). One note of caution: Whatever approach states choose, it will be important for legislators to enact procedures to ensure unions remain fully independent from their government employers at the bargaining table—even though those employers are reimbursing bargaining costs. For example, rather than letting employers negotiate over union reimbursement levels alongside wage increases, employers could be required to reimburse unions for all bargaining-related expenses (the same costs that could be charged to all workers before Janus), with disputes resolved by a state Public Employment Relations Board. I explore these design questions and others—including proposing some model legislation—in “Life After Janus,” a full-length article posted on the Social Science Research Network. The lesson is that Janus is only as big a problem as progressive lawmakers want it to be. There is a ready-made solution—if only they are willing to act. Aaron Tang is acting professor of law at the University of California, Davis, School of Law. A former clerk to Supreme Court Justice Sonia Sotomayor, he is the author of “How to Undo Janus: A User-Friendly Guide,” a short white paper that includes model legislation for state lawmakers.